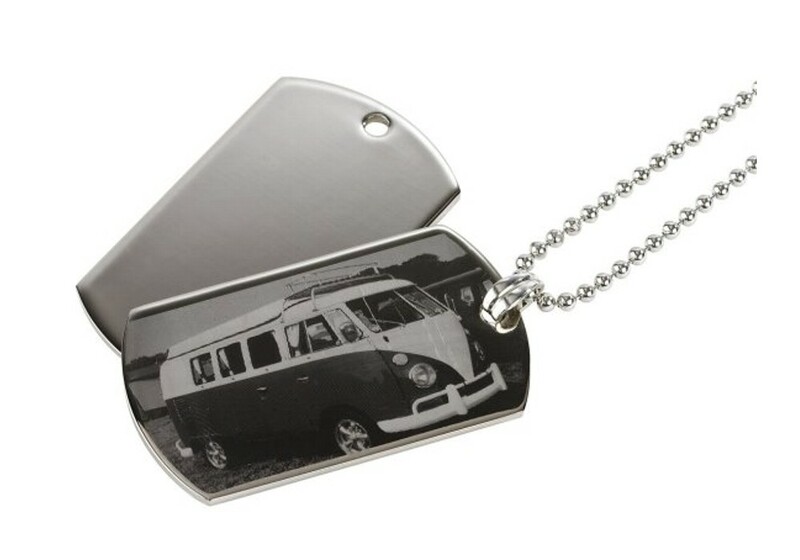 A beautiful engraved silver ID dog tag pendant with chain. It is available in two sizes, 27mm x 18mm (currently out of stock) and 50mm x 29mm. It also comes presented in a black or purple suede gift pouch. There is a choice of ball or rope chain. Personalise with your treasured photos and engrave with your special message on the back. We have a selection of fonts for you to choose from. There is no limit on the amount of characters you can have but please remember the more you have the smaller the font size will be.